Modular construction refers to the process of taking prefabricated units, which are built off-site (i.e. away from their final destination) and pieced together at the jobsite/on the premises. The modules can consist of parts of a room, an entire room, or an individual unit such as a bathroom, which is fitted with other components at the jobsite to form a complete structure. Modular construction is a hot topic within the industry – and for good reason. Per the U.S. Census Bureau, the rise of urbanization and population growth means that people are moving into cities faster than ever before, and these individuals need places to live, work, and stay. Hotels and apartments are particularly effective uses of modular construction as the units are generally “uniform” and can be easily fabricated off-site and fit together on-site. Speed is just one reason why modular construction is slated to take off in 2018. Contractors continue to grapple with a skilled labor shortage. A Turner & Townsend international construction survey of 43 markets found that 23 of them – more than half – suffered a significant labor shortage. Only four of the 43 markets reported enough labor to meet demand, and none of those markets were in the United States. Modular construction requires less time and labor to complete. A typical construction project starts with design and engineering, and then moves onto the permitting & approval phase. These timeframes are the same for both traditional and modular construction; after that, however, the time and labor efficiencies associated with modular construction take off. On a typical project where workers erect the building from scratch at the jobsite, builders must first prepare the site, then lay the foundation, and then begin the actual building process. With modular construction, off-site manufacturers handle the building process away from the project site, meaning that crews can lay the foundation simultaneously. Modular construction is also generally touted as safer than other methods. More akin to manufacturing than typical construction, modular construction processes are much more predictable and repetitive and can be documented, analyzed, and modified to maximize efficiency and safety. One of the best current success stories involving modular construction comes out of Sweden. Whereas only 5% of detached, single-family homes in the U.S. are prefabricated, about 84% of all the detached homes in Sweden are prefabricated. A recent study out of the Queensland University of Technology on the rise of prefabricated housing worldwide names Sweden’s freezing winters as a driving force behind the nation’s move to modular. Rain, snow, and freezing conditions have a significant effect on outdoor construction, but with modular construction in a controlled, manufacturing environment, building – and business – can go on as usual. Interestingly, the study also mentions the country’s push towards sustainable building practices, as some believe factory-produced units are more environmentally-friendly than their more traditional counterparts. Additionally, in Japan, some nine million prefabricated homes were built and erected using modular construction between 1963 and 2014, most likely due to the country’s booming population. Google, Starbucks, Marriott, and even tech companies like Autodesk, are betting big on offsite construction, investing hundreds of millions of dollars into the method. Katerra is one company setting new standards for modular construction and has raised more than $865 million in investment. Headquartered in California, the company is essentially a one-stop construction shop, handling the entire construction process from design and architecture to erecting the building on the job site. Katerra aims to operate much like an automobile factory, which is known for its efficient, effective, lean processes and is committed to leveraging the latest technologies available to them to redefine construction. 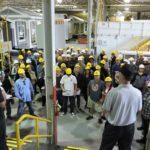 While still a long ways off, if modular construction lives up to its processes to build safer, faster, and more affordably than traditional methods, it may become mainstream in the U.S. sooner rather than later. 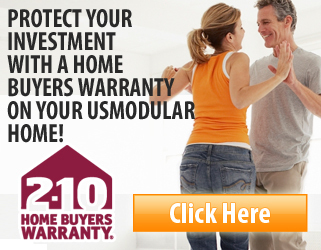 Contact the experts in modular construction in California: USModular, Inc.